This is part of the SEO Score and Audit series for some of the most favorite brand sites online in PH. We do not carry any nondisclosure agreement with any of the brands featured here. The goal of the series is to encourage and help these and similar brands get the most of SEO and search engine traffic. Watsons is a popular retail store in the Philippines, making it a common household name. Personally, I’m a sucker to all their buy 1 take 1 promos! It carries one of the widest varieties of health, beauty, and wellness products – It’s almost therapeutic once you enter their retail stores. Recently, we’ve seen the brand launch online campaigns such as their e-commerce store, a blog marketing component, and of course, their Facebook ads alerting us of their wacky sales and free shipping promos. On average, brands in the Philippines are beginning to utilize digital in their marketing strategies and Watsons is not alien to this. It looks like much has been done, but there’s still work to do to improve its most important digital property: their eCommerce store. 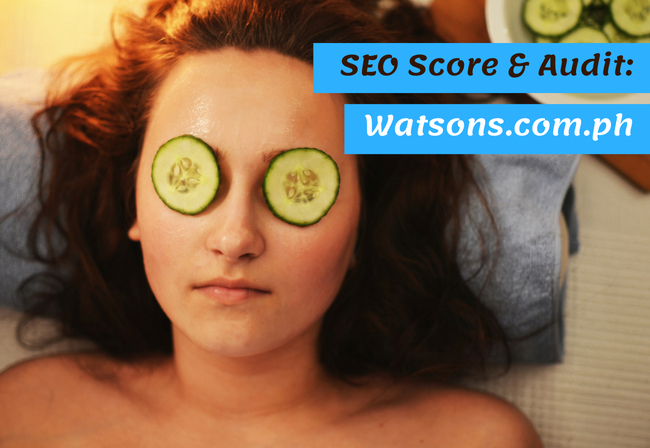 Check out my review and overall SEO score for Watsons.com.ph. 1) Own and redirect the domain: Watsons.ph to their online store. 2) Rewrite the dynamic/less understandable URL structure, i.e: www.watsons.com.ph/dermaseries-expert-repairing-balm-dry-skin-relief-136g/p/BP_50019551. Unless you’re using them for tracking purposes. 3) Conversion Driver: Add the BUY NOW button beside/above ADD TO CART button on product pages. You may also want to consider a wishlist feature. 4) Blog to Store Internal Linking – Link your product, category, and sale pages from your blog posts to drive traffic and increase topical relevance. Interlink your blog posts, as well. Blog subscription isn’t prominent in the blog area, too. Neil Patel’s SEO audit tool is becoming one of my favorite quick seo audit tool. It’s not perfect and may seem too simplistic, but it presents analysis clearly at a glance and does hit on key SEO factors. However, it is not as reliable or accurate as a good site crawl tool like Screaming Frog. I compared Watsons.com.ph versus some of the leading beauty online stores in the Philippines such as: beautymnl.com, sephora.ph, ph.althea.kr. 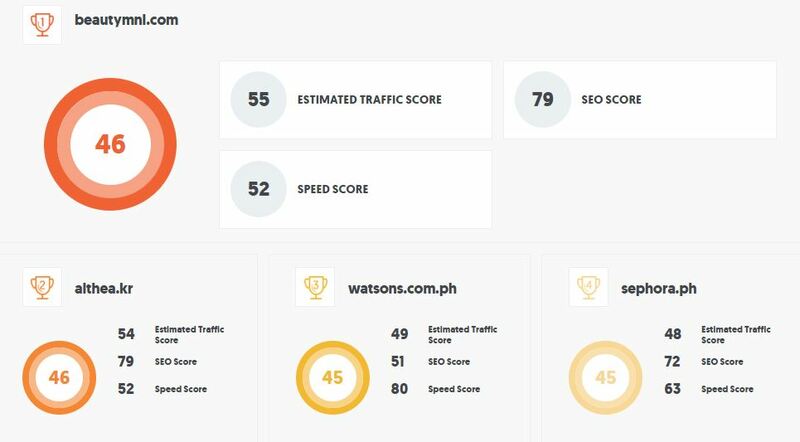 Turns out Watsons.com.ph has the lowest SEO score. Probably brought on by a lack of content optimization. Site speed is pretty impressive, though. Watsons wins in the speed game!… But there is work to do in optimizing the site’s images. While there is room for improvement, the site has great potential in terms of optimization. Tip: Ensure that inventory matches that of physical stores! It’s important that customers can really CHOOSE AND SHOP online effortlessly. Tip: Key here is consistency and more SEO and Social Media integration. Just like any other e-commerce site, there are still lots of work to be done. The good news is they are a known, popular brand that people will always look for online. Brand marketing HUGELY drives search traffic. 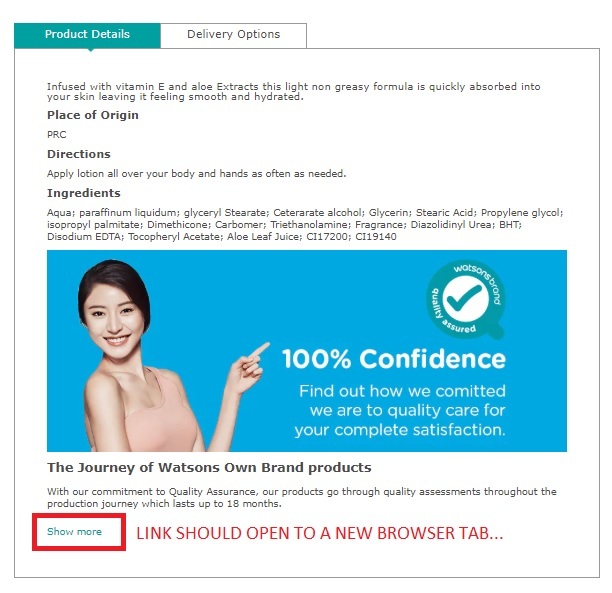 So I hope Watsons uses this to their advantage and convert more retail-store fans to shop online (like me!!! ).